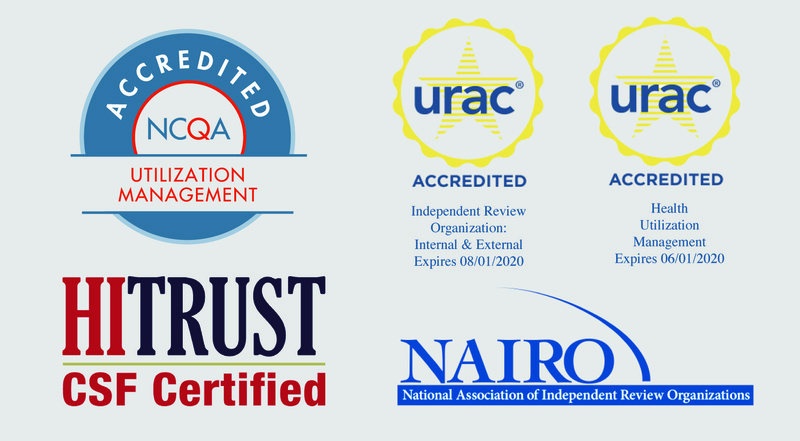 MRIoA offers our clients a Federal External Review (FER) level of review and a State External Review (SER). When a claim or prior authorization request is still denied after all internal appeal levels have been exhausted, the Affordable Care Act permits the claimant another step. This final level of appeal is a FER or SER. Health Plans and issuers must comply with either the State’s external review process or the Federal external review process. At this final level of appeal, an independent third-party vendor, such as MRIoA, will complete this final review; the decision is binding. A claimant or their authorized representative may submit an external review request within four months after the date the claimant received the final internal adverse benefit determination notice. An expedited Federal External Review is completed within 72 hours, while a standard Federal External Review request is completed as expeditiously as possible, but no later than 45 days. If you are submitting an expedited Federal External Review to MRIoA over a weekend or on a holiday, we ask that you follow the After-Hours process and call our on-call health representative to ensure that our staff is aware of the pending request. When a standard Federal External Review request is received, MRIoA staff mail letters to the Insured/Claimant and/or designated authorized representatives (DARs) to allow them 10 business days to submit any information that they would like included for review. This information can include any medical records not considered in the prior appeals process, appeal letters, or anything that the claimant or authorized representative feel is pertinent to the case. (These letters are not sent for expedited Federal External Review due to time frames.) If MRIoA receives additional information, that documentation is forwarded on to the Health Plan for the adverse decision to be reconsidered before the review is completed. The reconsideration shall not delay the Federal External Review turn-around-time. To qualify for an expedited Federal External Review, the medical condition of the claimant must be severe enough that the 45 day time frame would seriously jeopardize the life or health of the claimant or their ability to regain maximum function. Services that involve an admission, continued stay, or health care service of an emergent nature would also qualify. Retrospective service requests do not qualify as Expedited Federal External Reviews. Expedited requests are screened to determine eligibility. Most State External Reviews have similar turn-around-times, although the guidelines vary depending on the state. These reviews also have different rules regarding the notification process. The MRIoA Client Tools website contains each state’s specific regulatory information located in the “Resources” section for the access of our clients. Services in question must involve medical judgement to be eligible for Federal External Review. This means they were denied based on medical necessity, health care setting, level of care, as experimental or investigational, or in relation to the recession of coverage. A claim denial for contractual or legal interpretations of the plan’s terms is not eligible for a FER. For example, if the denied service is listed as an excluded benefit in the plan document, then no medical judgement is involved. Additional examples of non-eligible requests include, but are not limited to: timely filing, payment for services that exceed the maximum number allowed in the plan document, and additional reimbursement of a claim above the allowed amount. It is the Health Plans responsibility to determine if the request is eligible for a Federal External Review. Once a claimant or a designated representative requests a standard Federal External Review, the health plan has five business days to do a preliminary review to determine if the request is eligible and complete, and then one business day to issue a written notice to the patient and assign a vendor (MRIoA). The plan must send MRIoA all the documentation and information that was utilized in rendering the adverse determination(s) within five business days after the above mentioned written notice. For expedited Federal External Review requests, the plan shall as expeditiously as possible submit the documentation and information to MRIoA. It is important that all information considered, including the denial letters, Summary Plan Document, and any criteria or medical policies, be included with the clinical documentation. If the plan does not provide the documentation necessary for MRIoA to perform the review within five business days, MRIoA can terminate the External Review and render a decision to reverse or overturn the adverse determination. Once the Federal External Review has been completed, the claimant, any applicable designated authorized representative, and the Health Plan will receive the final determination in writing. The decision of the Independent Review Organization is binding to the plan, health insurer, and the claimant. If MRIoA has processed any of the initial levels of appeal for your company, it would be a conflict of interest for us to review at the Federal or State External Review level. Additionally, according to certain states regulations, it is considered a conflict of interest if MRIoA does business with the plan, even if we have not reviewed the specific claimant’s services. If you have any questions regarding the process, our Federal External Review team is very knowledgeable and willing to assist.